StroboClip, Tuner/Pitch Pipe/Tuning Fork from Peterson. 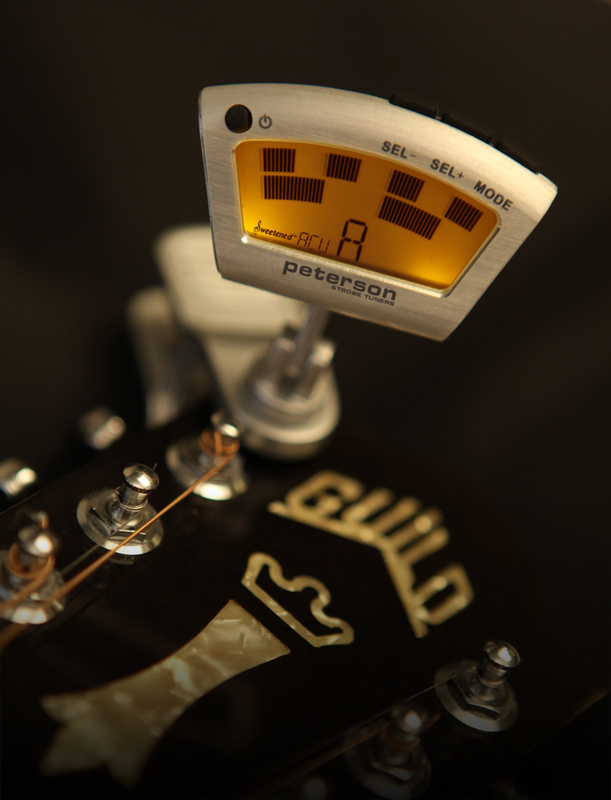 Peterson Strobe Tuners has added a clip-on style strobe tuner to their Virtual Strobe series line-up. The StroboClip is designed for acoustic instruments. The strobe display is designed to maximize the StroboClip's screen area by moving the strobe bands horizontally, rather than vertically as in previous strobe tuner models. Sweetened Tuning presets for banjo, mandolin, and ukulele offer dedicated settings for players of these instruments to facilitate tuning. A variety of other presets including Dobro, lap steel, and settings for the violin family come standard in the StroboClip. Settings for eclectic instruments such as lute, bagpipes, and oud are also covered along with additional Eastern Temperament settings for instruments of the like. The StroboClip also features a Sustain mode. In Sustain mode, the StroboClip can be set to hold the tuning pattern for a short time after the note has decayed so that instruments with short voices, such as banjo and mandolin, can be tuned. For regular tuning, the Sustain mode feature can be turned off. The StroboClip is encased in a brushed aluminum shell and the included cushioned, metal carrying case. Soft, rubber pads in the jaws of the StroboClip protect the instrument's finish. The MSRP of the StroboClip is $89.99 and it is now shipping. 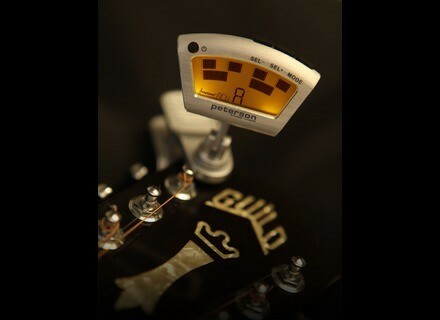 Visit www.petersontuners.com or www.stroboclip.com for more information. Catalinbread Merkin Fuzz The Catalinbread Merkin is a fuzz pedal designed to be "just right for classic sixties fuzz sounds and beyond" according to its manufacturer. WID The Pick Bag Christopher Widmoser, guitarist of the German Barbara Dennerlein Band, created the "Pick Bag", designed to prevent your hand's sweat from making the pick slippery. New Manne Models Manne has released the list and specs of models manufactured in the last month of July.